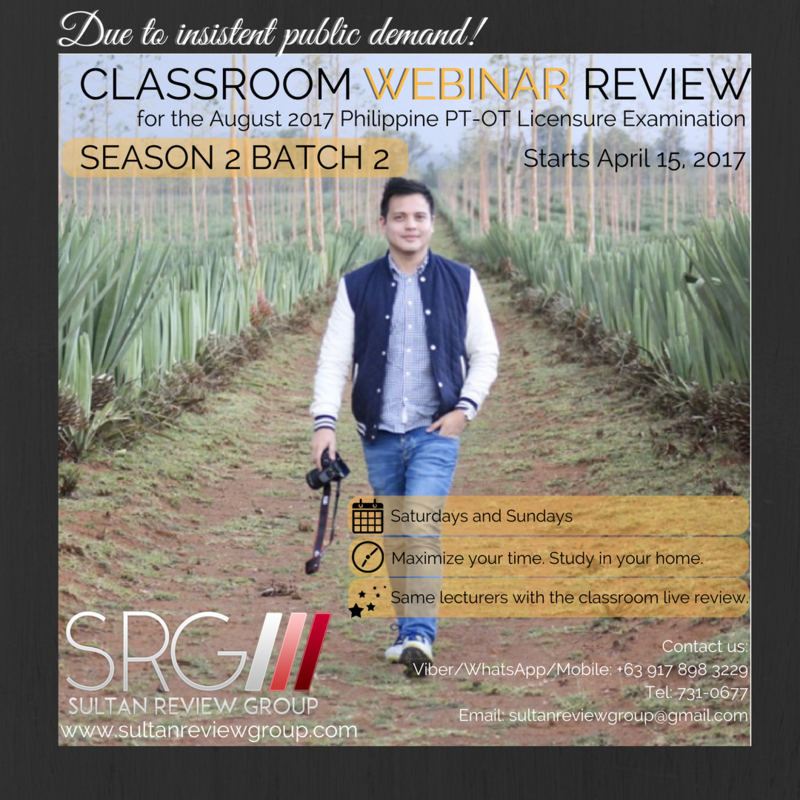 Season 2 Batch 2 for Classroom Webinar for the Aug 2017 PT-OT Board exam! We have successfully launched the first batch of the Classroom Webinar for the August 2017 Local Licensure Examination and due to insistent public demand, we are proud to announce that we will open the second batch on April 15! Enrollment is now on-going! Hurry and enroll now in the MOST PRACTICAL, HIGH QUALITY, RE-IMAGINED, RE-INVENTED CLASSROOM LIVE WEBINAR REVIEW FOR THE AUGUST 2017 PT-OT BOARDS! Slots are almost sold out! Previous Entry:2 days until the Intensive Webinar Review for the NPTE, NPTAE, and PCE! Next Entry:Few Slots left for the Classroom Review for Aug 2017 PT-OT Licensure Exam!